Supple shawl from a blend of cotton and silk made in India. Nice, large shawl from India. The shawl is made from a blend of 65% cotton and 35% silk. 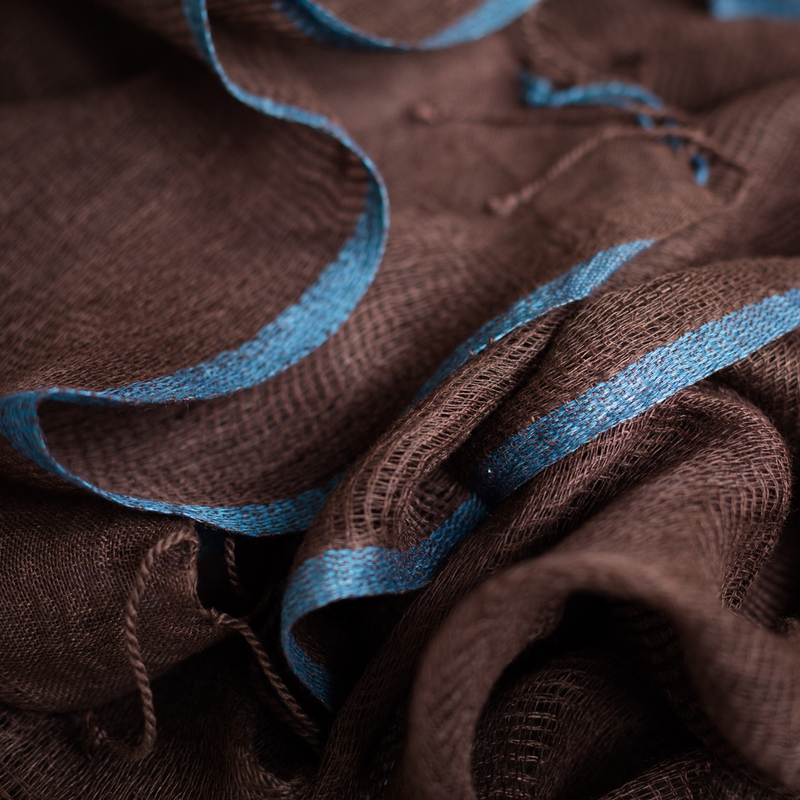 It is handwoven by artisans from EMA, a fair trade organisation in West Bengal province.